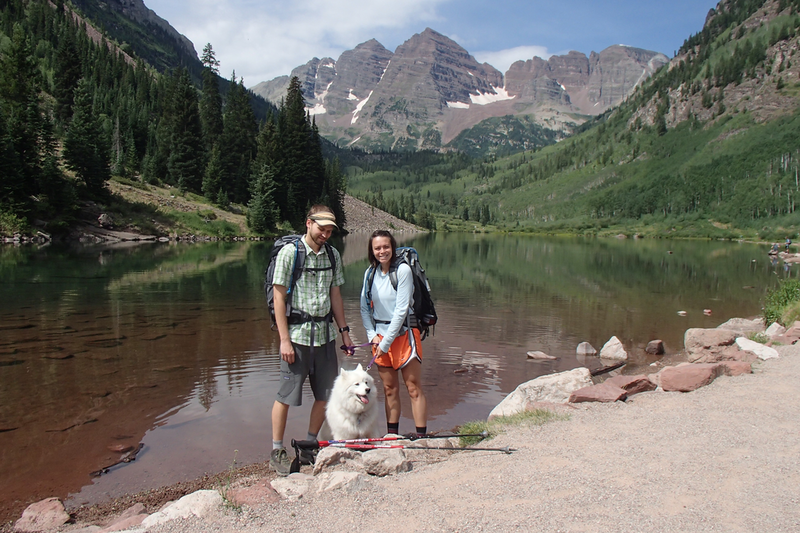 Store owners Lee and Ale Warden with their dog, Aspen, in the Maroon Bells, near Aspen, CO.
Brushy Mountain Outdoors is an outdoor, lifestyle and travel apparel retailer carrying Lake Norman's largest selection of brands like Patagonia, Mountain Khakis, SmartWool, Prana, Salomon, Oboz, Jambu and many more. Brushy Mountain Outdoors' motto is "Life is Better Outdoors." Because there is so much more to experience out in nature, our goal is to make your time outside more enjoyable. Whether you're hiking, running, traveling - whatever your adventure is - Brushy Mountain Outdoors exists to make it better. With years of experience at one of the nation's largest outdoor retailers, Lee Warden has the expertise and knowledge on making sure you're equipped with the highest quality of apparel, footwear and gear that represents the pinnacle in functionality and aesthetics. We want to keep you warm when it's cold, dry when it's wet and cool when it's hot. Help your feet and carry your gear. We look forward to seeing you soon.